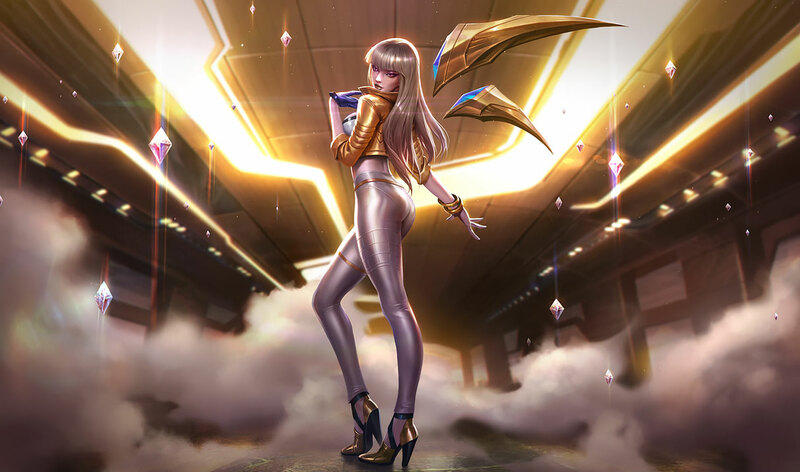 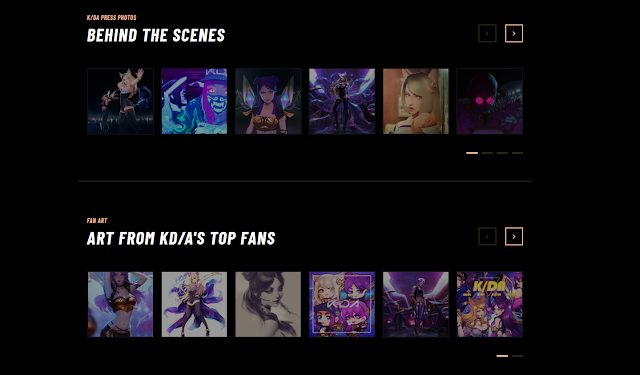 K/DA Skins & Worlds 2018 Afterparty Content Now Available! 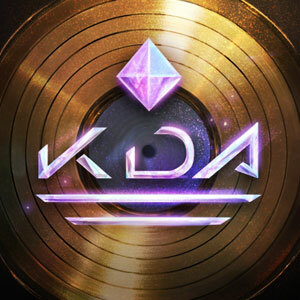 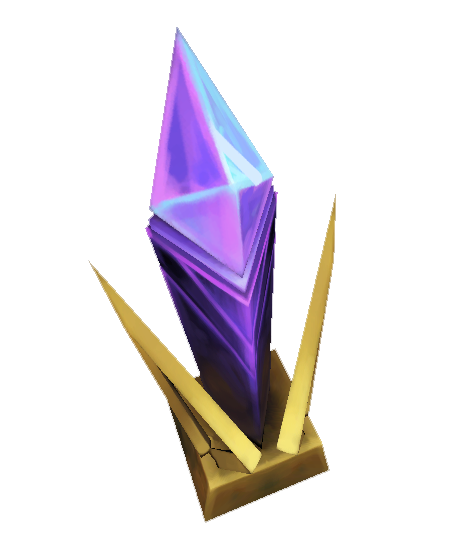 Thread: K/DA Skins & Worlds 2018 Afterparty Content Now Available! The afterparty has started and the ladies of K/DA are here! 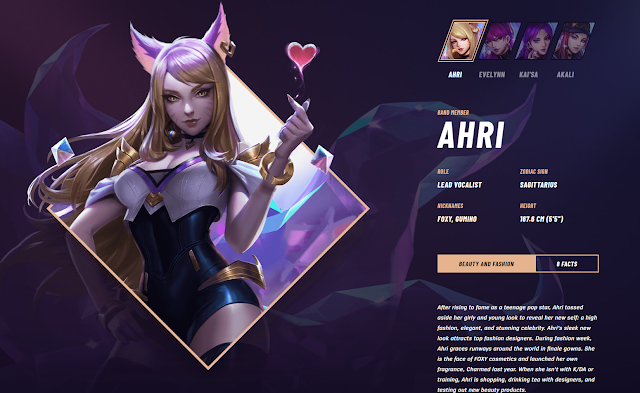 K/DA Ahri, Akali, Evelynn, and Kai'Sa are now available to purchase! 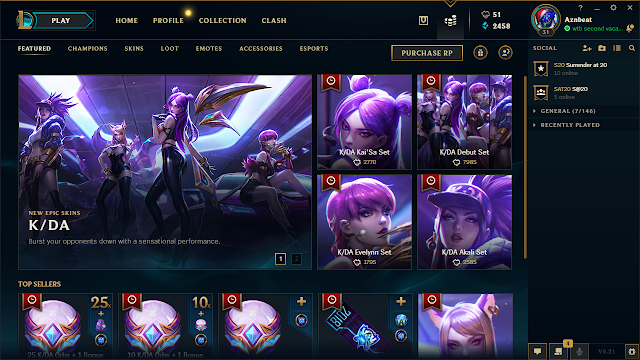 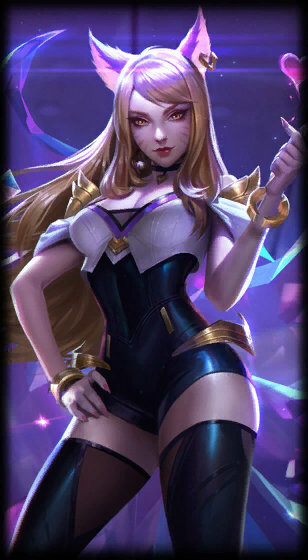 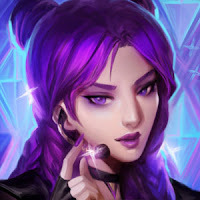 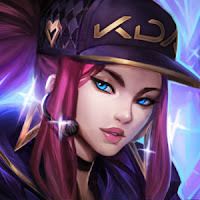 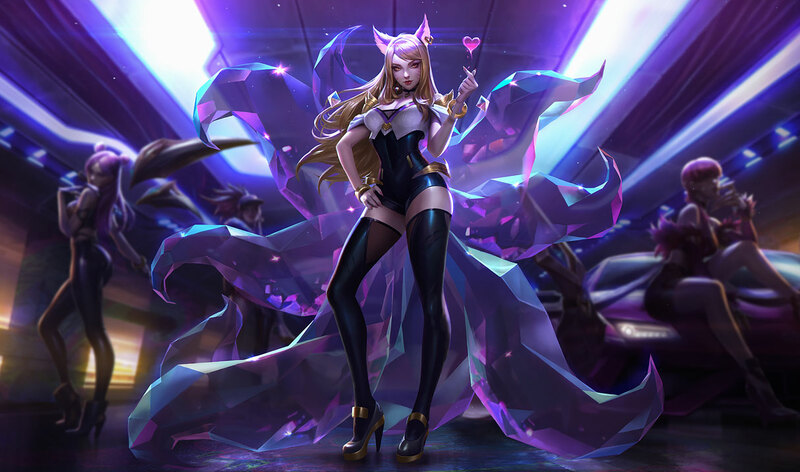 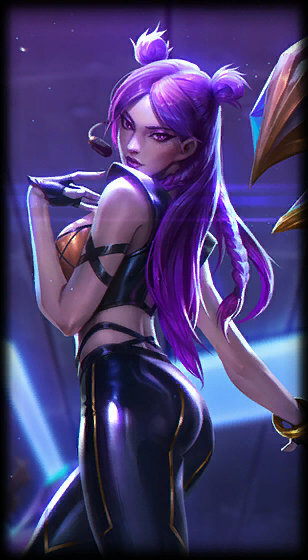 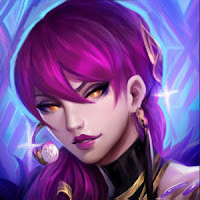 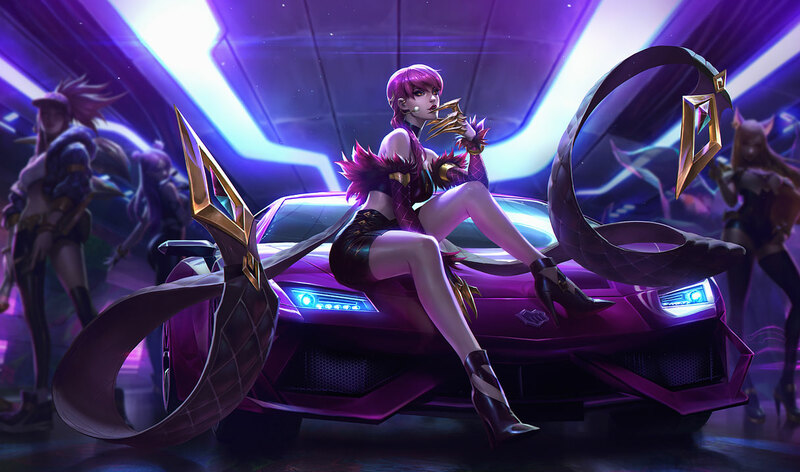 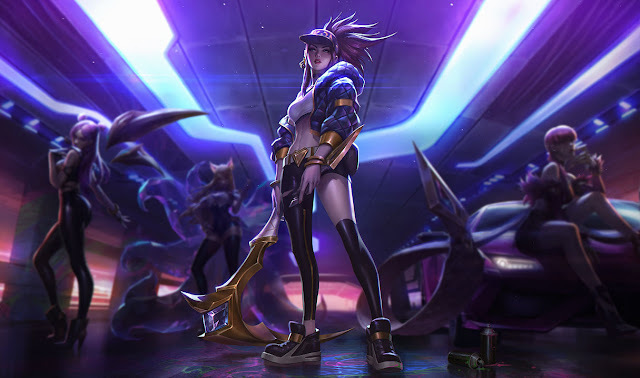 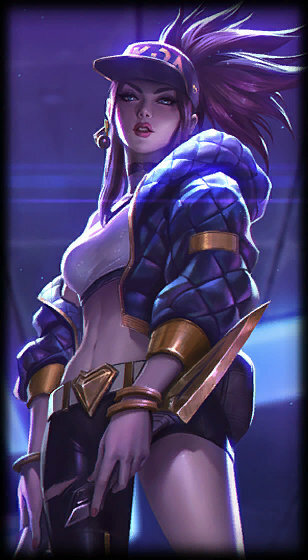 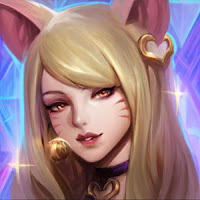 K/DA Kai'Sa (Prestige Edition) is also now available to craft, along with a new icon, ward skin, Orb, and more! While there is no official release announcement, the skins are now available in the store! 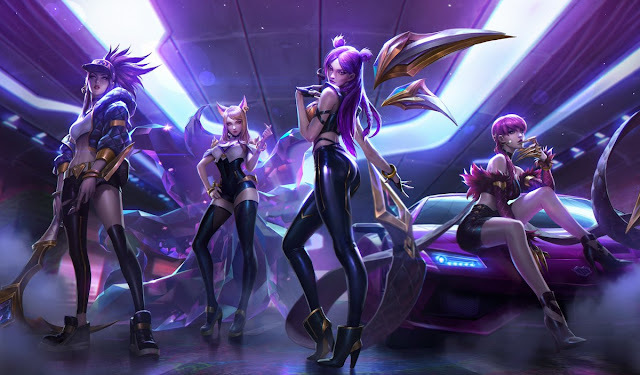 "K/DA Ahri, K/DA Evelynn, K/DA Kai’Sa, and K/DA Akali take the world stage with their debut single. 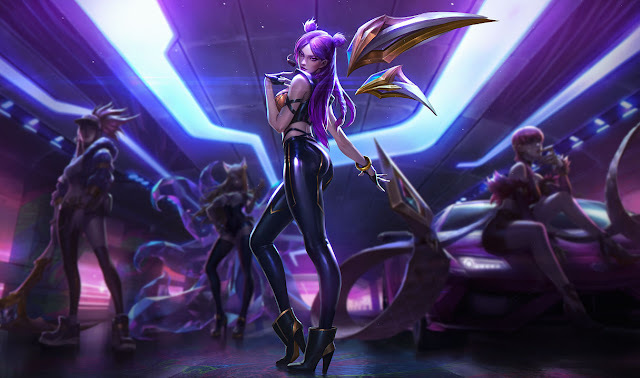 Keep the show going on the Rift with these new Epic skins." 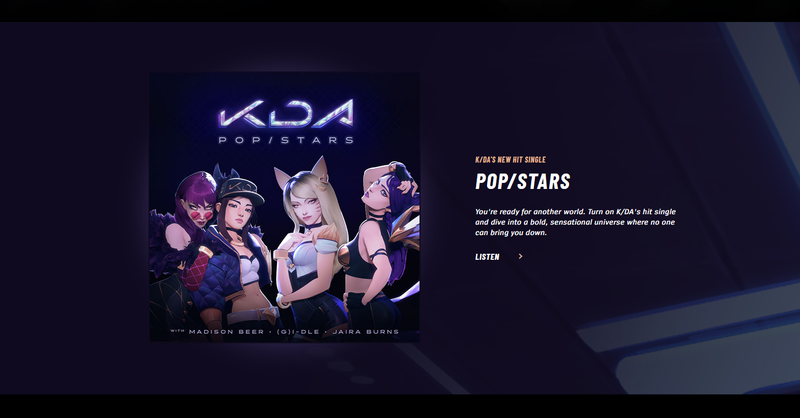 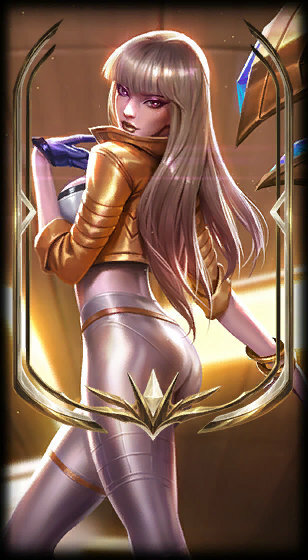 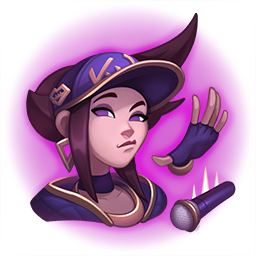 A new login theme is now on the client, featuring the K/DA song POP/STARS! A new K/DA page is up on the Universe, including details on each of the band members, lyrics, behind the scenes images, and more! 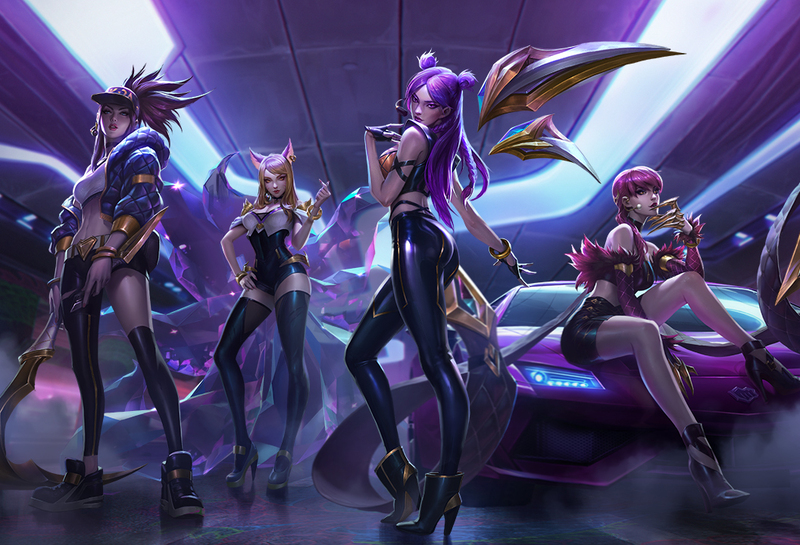 An interview with the ladies from K/DA is now up on the Universe! For the full details on Missions and rewards during the Worlds 2018 Afterparty, check out this page!